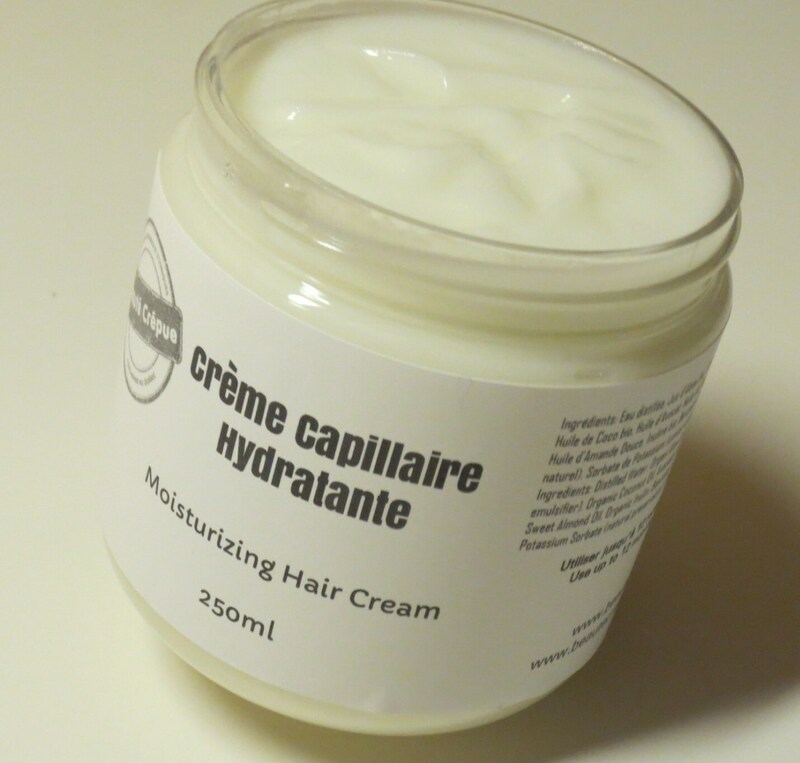 A leave-in moisturizing hair cream for dry, frizzy or curly hair. 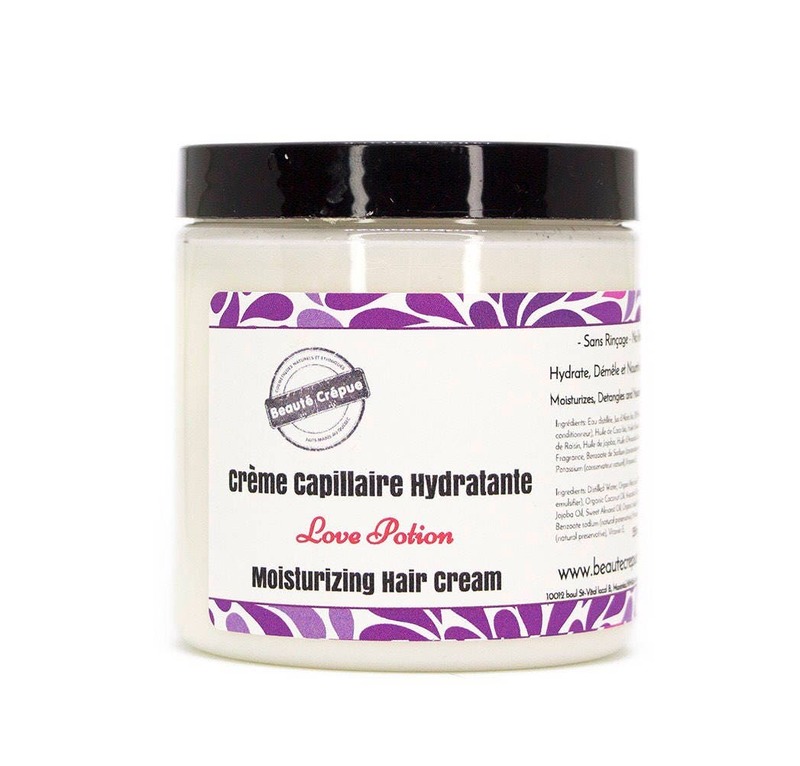 It moisturizes, detangles and brings a lot of softness to the hair without weighing it down. A creamy texture, satiny cream. Aloe gel: Excellent moisturizing Aloe compensates water loss from the skin and hair. 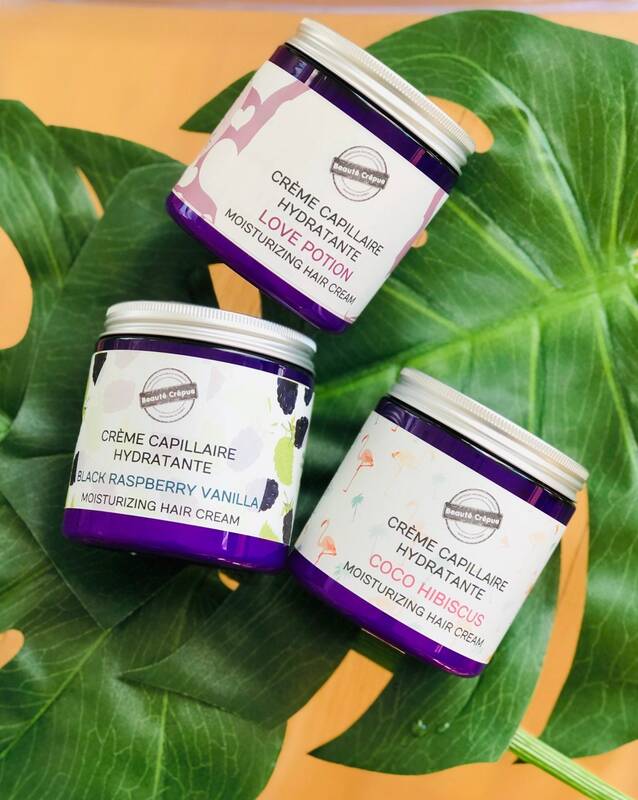 Mango Butter: brings sparkle and shine, strengthens the hair cuticle, nourishes, repairs and softens the hair fiber, ideal for dry, dull, lifeless, brittle, frizzy and split ends. Sweet almond oil: Very soothing emollient, it prevents dehydration of the hair. Softening, restorative, it revitalizes and restores radiance and strength to damaged hair. Emollient, it nourishes and protects the skin from drying out. Softening and restorative, it activates the skin repair. Soothing, it calms itching and irritation. It helps in preventing stretch marks. Jojoba Oil: Restores vitality to dry and brittle hair. Eliminates hair loss. Beautifies and enhances the shine and softness of hair. Avocado Oil: exceptionally nourishing oil acting on dry hair, split ends and damaged. Stimulates hair growth. Grape Seed Oil: Ideal for the care of thin hair, dry, damaged. Inulin: Extracted agave. Moisturizing the skin and hair. Softening the skin and hair. Natural hair conditioner that smooths the hair fiber. 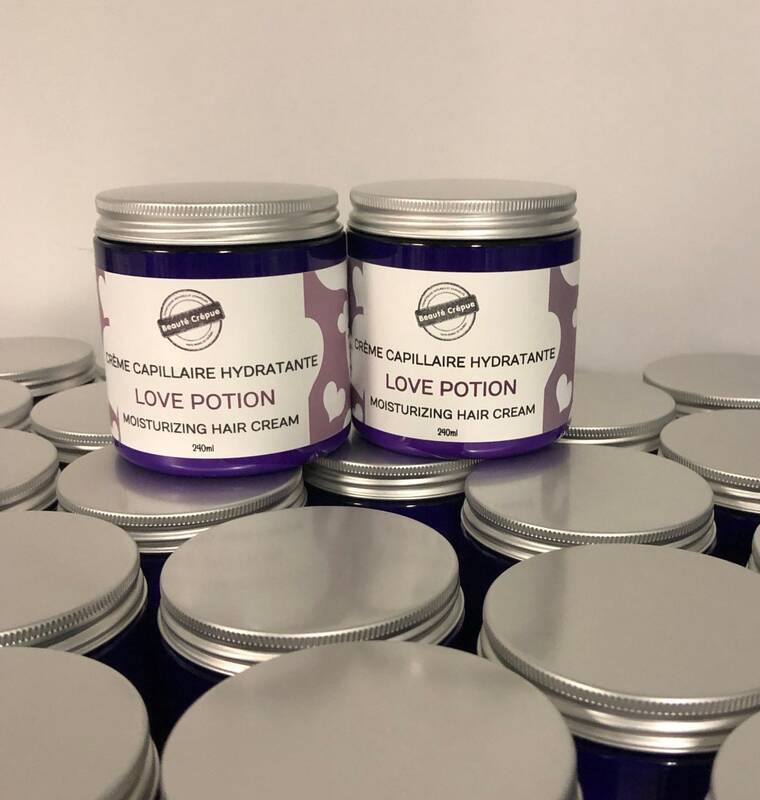 Fragrance Love Potion: A mesmerizing blend of floral scent of jasmine, lilac and lavender and a fruity scent of sweet peach, sweet orange and grapefruit. Ingredients: Distilled Water, Aloe Juice Organic, Vegetable Glycerin, BTMS (conditioner emulsifier), Cocoa Butter, Avocado Oil, Grape Seed Oil, Jojoba Oil, Sweet Almond Oil, Organic Inulin, Fragrance, Benzoate sodium (natural preservative), Potassium Sorbate (natural preservative), Vitamin E.